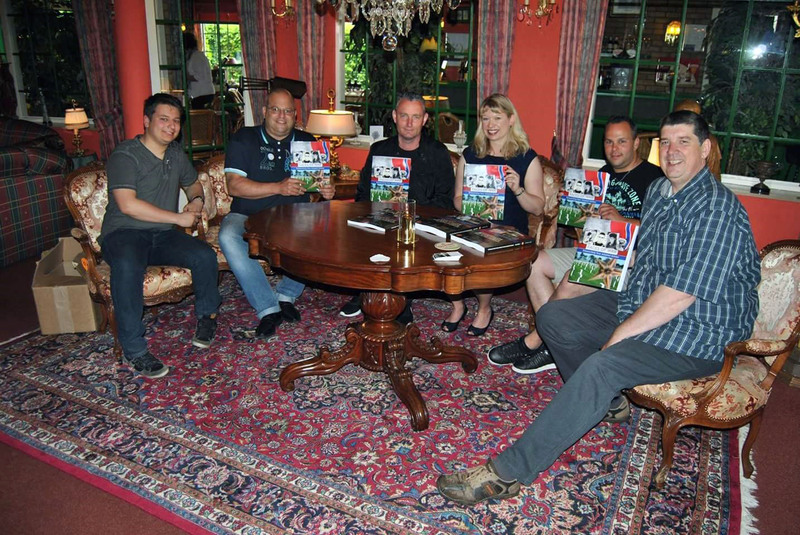 The last several years I’ve been researching and writing my WWII books and programs, I’ve been working with members of Stichting Verenigde Adoptanten Amerikaanse Oorlogsgraven (Foundation United Adopters American War Graves) in the Netherlands. This group is responsible for two projects which honor our WWII Soldiers buried in American Battle Monument Commission (ABMC) cemeteries overseas. The members of this foundation are fantastic and we’ve had an excellent give and take of helping each other. I met many of them in person at the cemeteries and while traveling in Europe. This Foundation actively seeks information and photographs on all the soldiers buried at Margraten (Netherlands American Cemetery), Henri-Chapelle, and Ardennes ABMC cemeteries. They also assist researchers on both sides of the pond. It is a nice give and take of information and sharing of stories. This project is a database containing photographs of the soldier’s grave and the soldier, if they have been located. It also contains basic information about the soldier obtained from primarily online sources or researchers. This project attempts to put a face with every name at the Netherlands American Cemetery at Margraten. I attended the Faces of Margraten in 2015. It was an amazing event honoring our soldiers. I was able to see photos for many soldiers I researched. Search the Fields of Honor Database to see what soldiers are from your state or for someone you know is buried there. Pull together materials to submit to the volunteers at the foundation. Talk to your local society about how it can help the foundation. If you live in Europe and research WWII, purchase a copy of my book to support the foundation and learn step-by-step, how to research. Faces of War: Researching Your Adopted Soldier. If you live in the U.S. and need assistance researching, Volumes 1 and 2 of Stories from the World War II Battlefield, are the only books on the market available which teach you step-by-step how to do WWII research. Attend one of my WWII talks in the U.S. or Europe to learn how to research. Need more assistance? Contact me to discuss a project. I am taking new clients at this time. Did you know a few civilians are buried in the American Battle Monument Commission (ABMC) Cemeteries overseas? While the cemeteries are primarily military personnel, there are a few civilians interred there. These civilians were often family members of service men and women serving overseas. Many are adults, but there are also a few babies and children. Some women in military service overseas gave birth to stillborn babies or lost their babies soon after birth. They were temporarily buried in military cemeteries. Most were repatriated. Baby Katherine Rothwell is buried in Ardennes. Her IDPF is heartbreaking. Several people in Europe have researched her story and that of her father. When civilians were buried in the temporary cemeteries during the war, an Individual Deceased Personnel File (IDPF) was created for them. IDPFs are commonly seen for military personnel, but most people do not think about them for civilians. Even if a civilian was later repatriated for burial in the U.S., there will still be an IDPF he was buried in a U.S. temporary cemetery. How do you know if someone is a civilian? 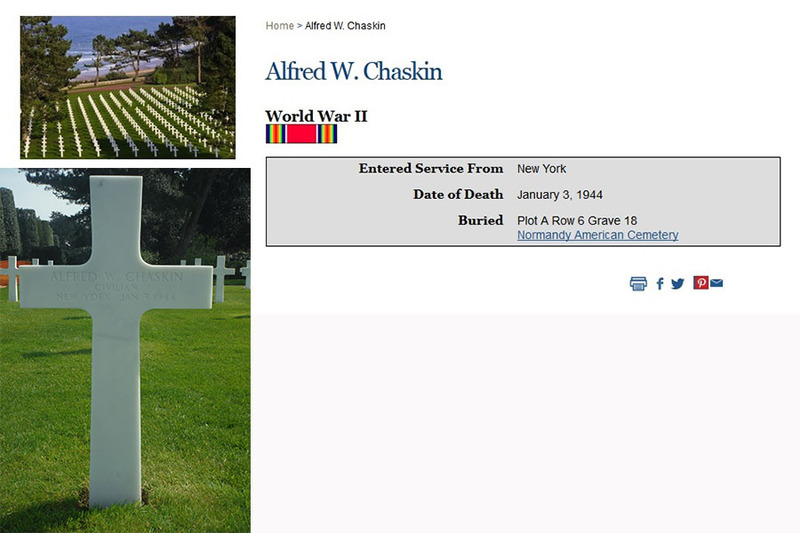 See the image for Alfred Chaskin. I researched him last year and visited his grave at Normandy American Cemetery. His entry on the ABMC database does not show a serial/service number or unit. Only his home state (listed as Enlisted Service From) and date of death. Chaskin was an American with a Swiss ID card, living in France since 1912. He was interred during the war and died in a POW camp in Austria. 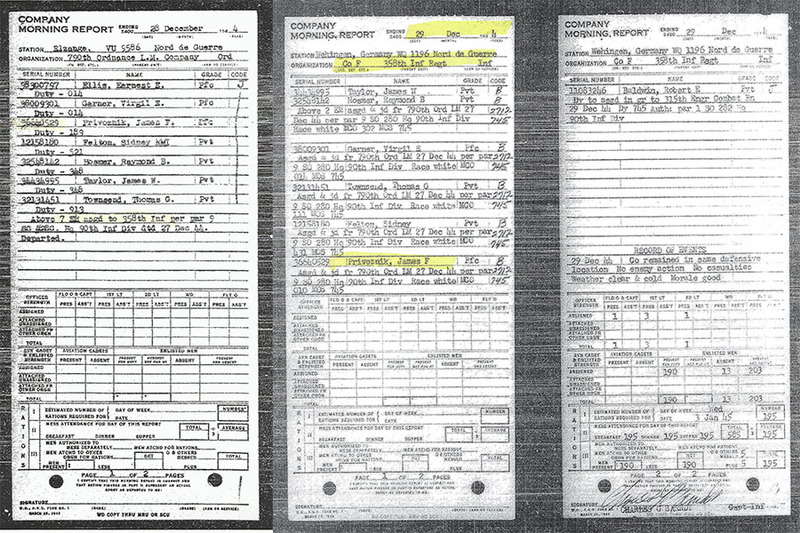 Records in his file show a cranial autopsy was performed after his death due to lung cancer and brain cancer. An extensive tooth and bone chart exists in his file. The file also contains his hospital notes and autopsy findings. Alfred’s IDPF is 114 pages long. You can read it and learn his story. You’ll see similar documents as what you find in a soldier’s IDPF. There are many handwritten letters from his daughter, who was living in Paris. Need to order the IDPF? Read my article on the IDPF, what it contains, and how to obtain a copy. Do you have questions? Please leave them in the comments. I recently wrote an article on Company Morning Reports. People asked me several questions about them, so here is a little more information on these valuable reports. What do all those codes and abbreviations mean? There are many codes and abbreviations on Morning Reports. Here are a few resources to help you decipher what you are looking at. Why doesn’t information show up on the day it happened? It is rare for the information of a soldier’s wound, Prisoner of War (POW) status, Missing In Action (MIA) status, Killed In Action (KIA) status, illness, or transfer (among other things) to appear on a report the day it happened. Word had to move up the line from the source (hospital, Red Cross, soldier’s buddies, Graves Registration Service, etc.) to the clerk creating the records. Always look past the day an event happened. In the case of one soldier I researched in the 2nd Infantry Division, he and three other men were KIA on 15 June 1944 in France. They did not appear on a Morning Report as KIA until 11 July 1944. We need to remember during certain times, think major campaigns or battles, that many men were changing status due to wounds, POW, MIA, or KIA. Men were also coming into the companies to replace those who were no longer part of the company. The clerk had a lot of work to do each day to record all these changes. Throughout the chaos of battle, information also may have been lost or taken longer to reach the man in charge of the records. Why do some Morning Reports not exist? There are many reasons WWII records do not exist. They may include but are not limited to the following. Why is the quality bad or almost impossible to read the Morning Report? Records were typed on a typewriter or handwritten. There were no computers then to keep track of everything. Records may have not been in the best condition after creation, let alone years later when they were microfilmed to be used by researchers. Some are terribly faded and almost unreadable. Others are in ok condition, and some are fantastic. You never know what you will get until you start looking. When the record is too damaged or illegible to move your research forward, look at unit records for the journals which document things that happened each day. They will not replace Company Morning Reports, especially if you need to trace service of your soldier, but will provide a more detailed record of events than may be on the report. They should also trace where a unit was each day. How do we access these records? You can hire a researcher to pull the records or you can visit the National Personnel Records Center yourself and go through the microfilm. 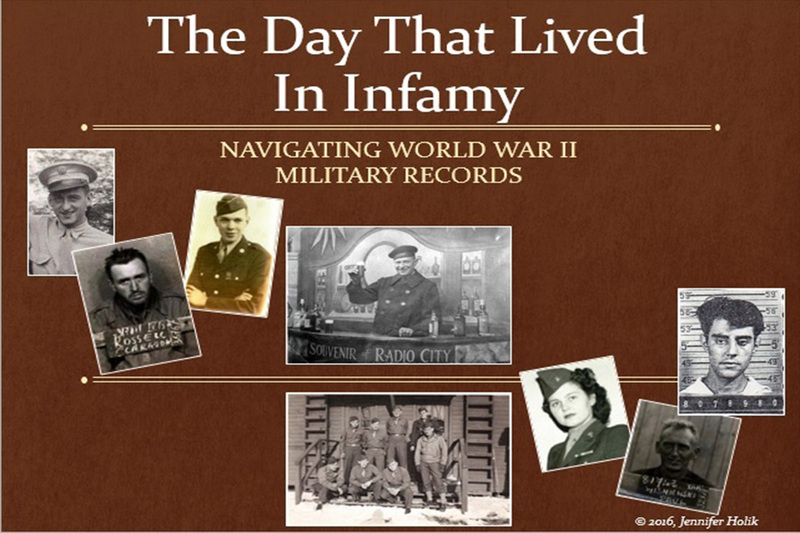 To learn more about Morning Reports, see my books Stories from the World War II Battlefield, which provide a more in-depth look at these records. You can also see several examples at the 80th Infantry Division website. What is YOUR World War II Story? My business did not start out in WWII research, but genealogy. When I was finishing my history degree I took a class in 1996 which required a family history project. Once I started, I was hooked. Being Czech, as far as I had traced in 1998, I was determined to finish my degree, return to Chicago and become a great Chicago Czech researcher. Funny how we make plans and life happens……A year after I started my business in 2010, I began working with an Italian American in Chicago. Five years later I became a Chicago Italian researcher with an expertise on the people from Ricigliano, Italy and surrounding villages. Today I am still working with this client. His project went very quickly beyond a few generations. Each year I create several books for him documenting his entire family from past to present, with photographs, biographies, and stories. This client has written many pieces of what is becoming his memoir. I know my Italian client’s family better than my own Czech ancestors. By the end of the the 2nd year of my business, I had published several books. One on my cousin, the Flying Tiger Robert Brouk, and several Genealogy teaching books for kids and adults. This laid the foundation for what was to come. So how did I move from genealogy to WWII? Over the course of several years of personal research into my own family’s military history, my relatives who died in service pushed me to research their stories. So I did. 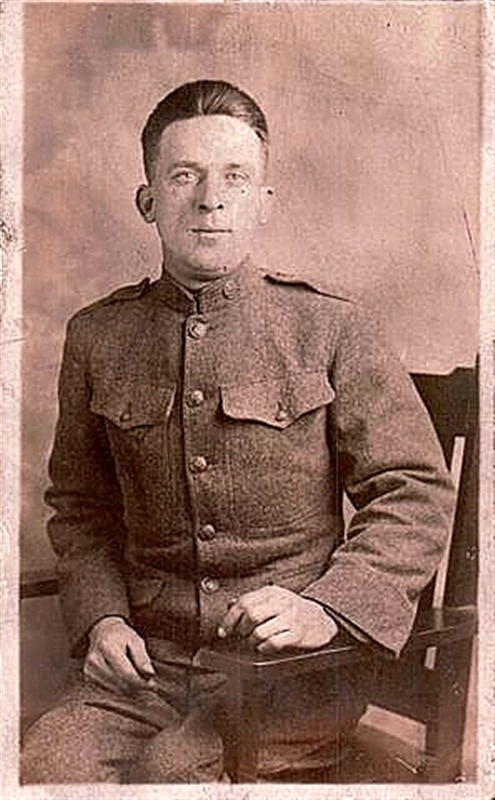 I researched and wrote about my WWI great grand uncle Michael Kokoska, KIA in France 1918. My Flying Tiger cousin, killed during training pilots after his AVG service ended in 1942. My cousin Frank Winkler, KIA in France in 1944. My cousin and guide for many years, James Privoznik, KIA in Belgium during the Bulge in 1945. I wrote a lecture, Finishing the Story, to help educate genealogists on some of the records I was using. 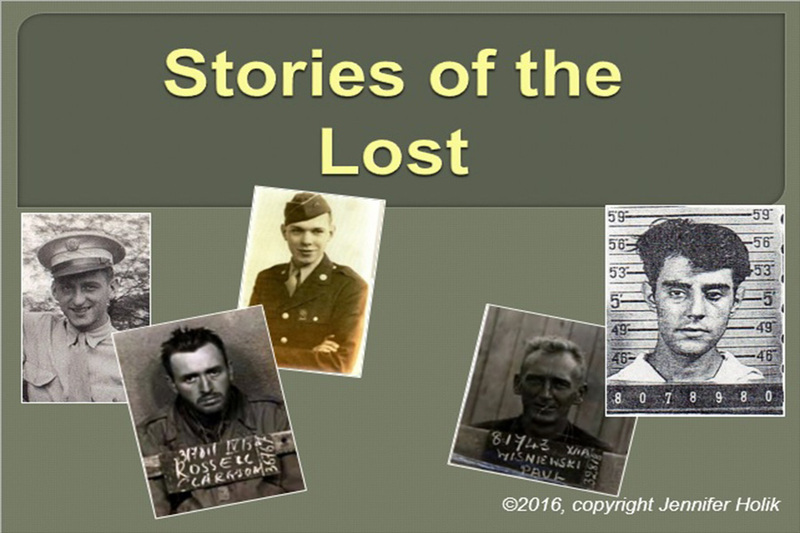 That led to a book called, Stories of the Lost, where I told the stories of all those men. Along with that book, I also released the second in that series called The Tiger’s Widow, which is about the widow of Robert Brouk, Virginia Brouk, who became a WAAC then WAC in 1943 and served in Egypt. The more I researched and looked for resources to help the process along, I realized there really were not any. Anything that did exist was so out of date, the information was basically useless. Records access changes all the time. The only book I found focused on the Army and had one chapter dedicated to records. In my mind, this lack of educational materials was unacceptable. I began researching service men and women across all branches of the military during WWII. With each individual, and each client who hired me, I learned more about how to research and how to write the stories. I was connected with researchers overseas who live in the Philippines and Europe, research adopted soldiers, specific units or battles, or doing Missing In Action research. These connections led to a lot of sharing of information between us and the ability to connect with other people on both sides of the ponds. I also read several “expert” websites to see what information was being shared. One expert in particular really irritates me every time I read his answers. There is a lot we can learn from those who irritate us – the question is, how do we take this and turn it into something positive to help others. The more I read online, the more I see there is a lot of misinformation being given to people about WWII research and records access, even from genealogists doing research today. Researchers should stay on top of these issues and disseminate current information. The question was, how could I change all the misinformation being spread? The answer came in the form of several more lectures which teach people how to research. No one else in the country is lecturing on this, as far as I have been able to tell. It also led to the creation of the only books on the market today, which teach people in the U.S. and Europe, HOW to research and write the stories of American service men or women across any branch. My genealogy to WWII journey has taken me down many interesting roads and across the sea many times. It often led me down deep, dark, emotional trails to help me grow and change. WWII research is not all sunshine, unicorns, and rainbows. It causes us to examine things we prefer to avoid, and feel things we may have held apart from our hearts for a long time. James was a large part of that journey and in two months I’ll make my third journey to visit him as this chapter in our story ends. It is also coming full circle this year as many endings happen. New ways to use genealo gy to help European researchers has emerged. A major expansion to my business is also taking place which is exciting! My guide James has been by my side every step of the way, guiding my work, introducing me to people, and leading me to a life I could have never imagined for myself…….the publication of 14 books within the last 5 years. The creation of more than a dozen lectures. Travel to Europe multiple times. I met my amazing fiancé in the Netherlands and I’m now living on two continents. I had no idea Fairy Tales really do exist! I get to speak all over the U.S. and Europe. And, I’ve met so many incredible, passionate researchers and family members of WWII soldiers. The most important part of the journey is that my research, writing, and speaking has provided a lot of education and healing for myself, the soldiers I research, and their families. For this I am extremely grateful. I truly have the best job and am living my life’s purpose. I’m so grateful for the opportunity. Where will the road or airplane lead next? I have some plans and ideas that are exciting. You’ll have to come back and keep reading to see what happens! Why did you start researching World War II? Please share your story with us in the comments. Throughout the course of my World War II research the last several years, one of my primary focuses has been the work of the Graves Registration Service (GRS). I focused on this group because so many of the soldiers, sailors, and Marines I research were Killed In Action or never recovered. Many people have no idea about the number of records the men of the GRS created and how valuable they are. These men created one file available to all researchers, for every service man or woman Killed In Action or unrecovered (still MIA.) This file is the Individual Deceased Personnel File (IDPF) for identified service members or X-File for unidentified service members. You can read more about the IDPF and other records in the Education section of my website. Through one of the Facebook groups I’m in for World War II, I saw a post about a book called Tarawa’s Gravediggers by William L. Niven. Having researched several Tarawa Marines and observed many conversations, sometimes very heated on Facebook, I highly recommend this book for anyone wishing to understand why our Marines and other service personnel buried on Tarawa are still being recovered. In general, from what I observed through research and conversations, the American people were not educated enough during and after the war as to what took place with the burials on Tarawa or any other location. Today, Americans are uneducated for the most part regarding the job GRS did (or did not do) on Tarawa or in general during the war. Too many people today are angry and frustrated over the fact we still have so many MIAs from World War II, yet have no comprehension as to why this is. This book does an excellent job explaining the process and resulting issue of unrecovered men. One reason people are angry is because many often look at the past through they eyes of today. They think if we have DNA today which can identify people and remains, why didn’t they use it during the war? That technology, like so much other technology, was not available then. 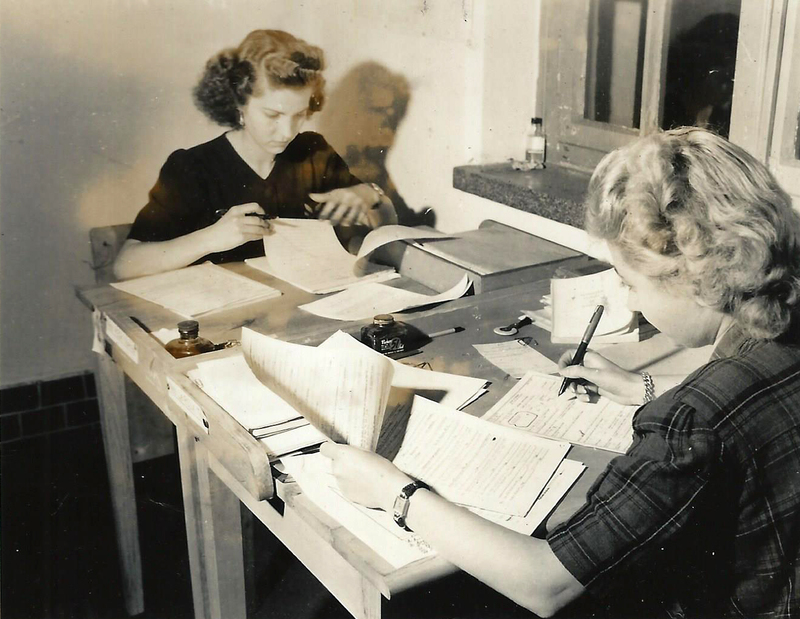 During the war, our clerks and GRS men were using paper, pencils, index cards, and forms. There were no computers available. No databases to store and sort information into. We need to remember to look at the past and put it into historical context rather than jump to anger over what was not done, just because it can be done today. Whenever I get a book like this, the first thing I look for is the bibliography of sources used, footnotes or endnotes, and the appendix. This book does not contain an official bibliography of sources used. It does contain a list of general records used by the author. It also contains no index, footnotes or endnotes. Niven explains at the very end of the book in his section on Replication and Validation, how he did his research, how he set up the book, why he did not use footnotes, where he got his sources, and why this work is important. I wish he would have put this at the beginning of the book because it would have made the book make more sense. I also would not have wondered why a historian who was creating such an important work failed to document his information. Niven had a purpose in how he arranged the material for publication. Maybe this means I should be reading the end of these types of books first, if authors are putting this kind of information there. Every author is different in the way they present their information. What is right for one is not necessarily right for another. While I wish he had included an index, that would have lengthened the book by scores of pages. I was lucky enough to find William Cowart, a still MIA Marine, discussed on pages 11-12. He is one I researched and hope is recovered soon. What will you find in this book? This book is the result of years of research, data analysis, database creation, validation, and writing. It is more than 460 pages long and contains the most in-depth information on Tarawa I have ever seen compiled in one place. The book includes the methodology Niven used to work through the problem of locating every cemetery and information on every Marine or other service man buried on the island. There are countless pages of tables showing what he compiled in his database. He has photographs and maps with explanations as to what they are and their importance. Why is this book important to those researching non-Tarawa Marines? Many may wonder why they should read this book if they do not have a family member listed as unrecoverable from Tarawa. I encourage you to read the book because of the depth of research Niven conducted. The analysis is unlike what most researchers do, but he has a lot to teach everyone who picks up the book and is looking for information on their soldier. He also provides a lot of information on the GRS and their records. This is important for anyone researching someone who died during the war or is still unrecovered. Niven also is very honest and forthcoming about potential errors in his work. Why? Because people make mistakes. He discusses the errors found among various official military records he used throughout his research. He discussed errors he made in entering the data into his database. He shows us that no one is perfect. No record is perfect and all of this must be taken into account with any research we do. Finally, Niven gives a great description of many military records available for all branches of the military. Each of these were used in his study and are of great value to all researching soldiers, sailors, or Marines in World War II. Want to know more about this incredible book? Pick up a copy today. If you’ve read it, I’d love to hear your comments. To learn more and go deeper into your research, pick up one of my Stories from the World War II Battlefield books if you are in the U.S. or Faces of War: Researching Your Adopted Soldier if you are in Europe. Please contact me if you need to hire a researcher to help you with your family’s World War II research. WWII Education – Where Can You Find WWII Education? World War II Education comes in many forms. There are countless books written about every aspect of war, soldier’s experiences, battles, and high level histories. Museums like the National World War II Museum in New Orleans has an annual conference featuring specific periods of the war and provide high level discussion and analysis of the war. Universities offer courses on general military history, World War II, battles, and other higher level topics. If you know of someone teaching courses or giving programs on the soldier’s experience and the research process, I would love to know about them. The National Archives in the U.S. offers an annual Genealogy Fair. If you visit their website, you can see prior year’s offerings which include handouts and videos. These videos are an excellent resource to understand, in general, what the National Archives offers researchers. The videos do not often get down to specific WWII research, but offer a general review of the types of records and dates they cover, within the collection. I recommend watching them to learn more about the types of records available. If you enjoy genealogical conferences and local society programs in the U.S., you may find a program on WWII research, though from what I have observed, it is rare to find anyone teaching what I am. If you are attending the Federation of Genealogical Societies (FGS) Conference which starts 31 August 2016, I will be giving two WWII talks and sitting at the vendor table for AncestorStuff at specific hours during the time the vendor hall is open, to answer questions. There will be a limited number of my books for sale and orders can be taken by AncestorStuff. Details coming soon as to when you can meet me at their table. 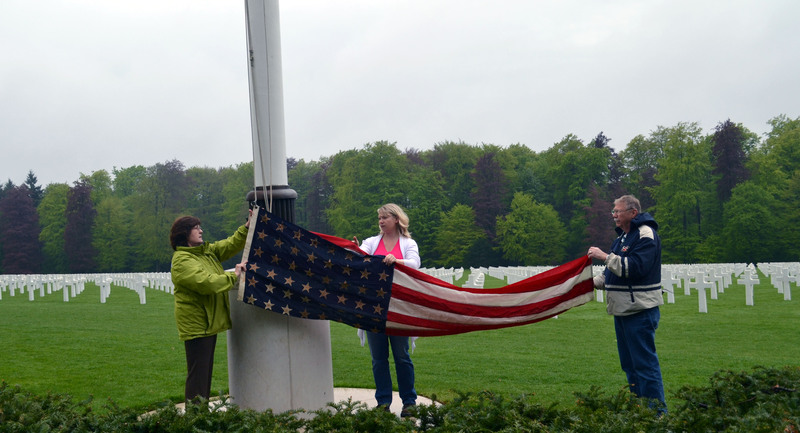 The American Battle Monuments Commission (ABMC) has several collaborative programs with different organizations to provide teachers with World War II soldier research experience and trips to the battlefields and cemeteries. This program is ABMC Education. The teachers research a soldier, write a eulogy which they give at his or her grave overseas, and create lesson plans based on Common Core standards. These lesson plans are available for free online. The ABMC website offers videos and other resources for anyone interested in the history of their overseas cemeteries and specific battles. They also offer educational resources for teachers. Both of these resources combined will provide you with a different perspective on what information is available for soldiers for both WWI and WWII. I encourage you to explore what they have to offer. If you live in Europe and have adopted a soldier’s grave or his name on the Wall of the Missing, pick up my research book, Faces of War: Researching Your Adopted Soldier. If you live in the U.S. and need assistance researching, check out my books, Volumes 1 and 2 of Stories from the World War II Battlefield, which are the only ones available which teach you step-by-step how to do WWII research. Need more assistance? Contact me to discuss a project. I am taking new clients at this time and there is no wait list. Working on graves registration records. Source Army Signal Corps. I wrote an article about the Individual Deceased Personnel File (IDPF) which contained information on how to request it, what it contained, and how to share information with organizations who honor our war dead. Several people were confused about the difference between the Official Military Personnel File (OMPF), also known as the military service file and the IDPF. This article will clarify what those files are, where they are located, what they contain, and how to obtain copies. OMPF: Created for every single service man or woman in every branch of the military. IDPF: Created for only those who were unrecovered and still considered Missing In Action or those who died in the war. What: Also known as the military service file, the OMPF is the record of a soldier’s service from enlistment and induction until discharge or death. Some files are quite lengthy if a soldier was in service for many years. Other files are short because the soldier was inducted during the war years and served a very short time, or was Killed In Action. Birth, marriage, and death certificates for the soldier, sailor, or Marine and sometimes members of his family. I have even seen adoption records in a file. Navy, Coast Guard, Marine Corps, and Merchant Marine OMPFs have photographs of the sailor or Marine taken upon after induction. These photographs are also found in the IDPF if the man or woman died in service or is still Missing In Action. Next of kin information can be found through vital records, insurance papers, beneficiary papers and next of kin designation papers. This is great information if you are a grave adopter in Europe and are trying to locate living relatives. Educational records and letters of recommendation. Service information: Training places and dates; type of training received; scores for tests and training; dates of service overseas; medals and citations earned. Death information if the soldier died while in service. Often the files contain handwritten letters from family members, especially fi the soldier died in service. Where: The OMPF is held at the National Personnel Records Center in St. Louis, Missouri. These files are available to anyone if a soldier died or was discharged on this date 62 years ago. So at the time of this article posting on my website, this means any OMPF for soldiers who died or were discharged by 17 July 1954, is available to anyone to request. You can read more about records access here. History and Confusion: There is a lot of confusion of the OMPF – does it exist or did it burn? In 1973 there was a devastating fire at the National Personnel Records Center (NPRC) in St. Louis, Missouri. Approximately 80% of the Army, Air Corps/Army Air Forces/Air Force, and National Guard (under the authority of the Army during WWII) burned. Is that the end of the story? NO! NPRC gets thousands of requests for OMPFs and other records every week. The facility holds records from WWI, WWII, Federal Employee Records, Civilian Conservation Corps (CCC) and other records. The service files are not the only thing held there. Many researchers receive letters that say, “All the records burned.” Sometimes that really isn’t the case. I have copies of complete files and some files which are burned around the edges (or have mold or water damage.) Some files I have are partial and contain only bits of information. Obtaining Records: If you work with a researcher, you have a much better chance of getting information out of NPRC. We are able to request and stay on top of whether or not there is a service file. My team is also able to ensure we at some point see a file that does exist. Case in point, last year my researcher at NPRC requested a Navy file for a client. NPRC found it, processed it and sent it to the wrong department in May. It was November before we saw the file and that is only because we stayed on top of the progress of locating it. Anyone who would have requested it by mail would never have received it most likely or it would have taken much longer than 7 months. NPRC also sometimes pulls the “right name but the wrong file.” This happened a couple years ago and my researcher caught the error and was able to save me hundreds of dollars in copy fees. We are also able to locate Morning Reports, Monthly Reports, Payroll, Air Force Award Cards and other recofds held there. You do have the option to go to NPRC in person to conduct research. And you can send in Form 180 to request a copy of the OMPF. When you send this form in, the OMPF is the only thing they will sear€ch for you. Often you will pay $25 for a Final Payroll Record and a sheet that says the soldier served. This is a far cry from the available information there if you go there or work with a researcher. “P” File is a Final Payroll File. These are typically what NPRC charges you $25 for. You get the Final Payroll Record which has little information on it and usually a sheet stating the soldier served. “B” Burned File. This file means the file is partially in existence and has damage. You never know exactly what remains until you see the file. The IDPF is a file created for every soldier, sailor, or Marine who was listed as Missing In Action (MIA) and never recovered or who died in service. These files were never at the NPRC in St. Louis and therefore not part of the 1973 Fire of what was destroyed. These files are currently held by the Army Human Resources Command (AHRC) in Ft. Knox, Kentucky. To learn more, please read the post about the IDPF to learn the specifics on this file. There are many researchers seeking information on our deceased soldiers and many organizations and foundations which use the files to honor service men and women. 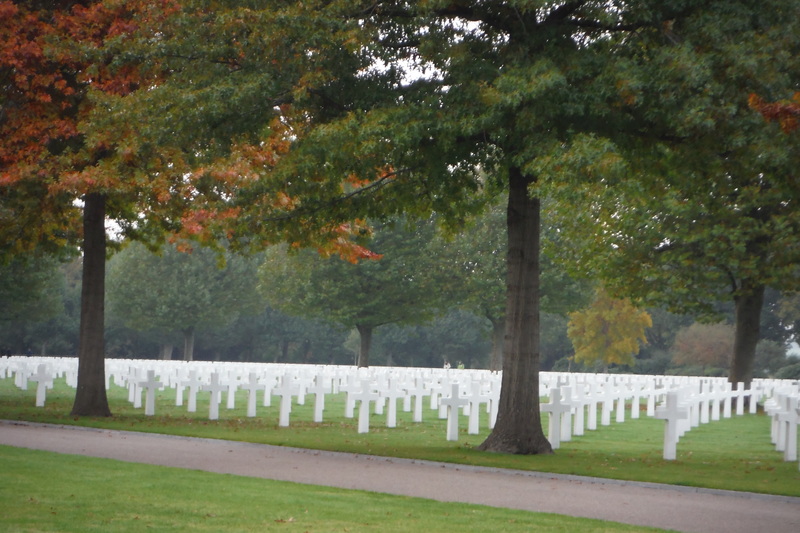 One such foundation, the Stichting Verenigde Adoptanten Amerikaanse Oorlogsgraven (Foundation United Adopters American War Graves,) runs the Fields of Honor Database in the Netherlands. 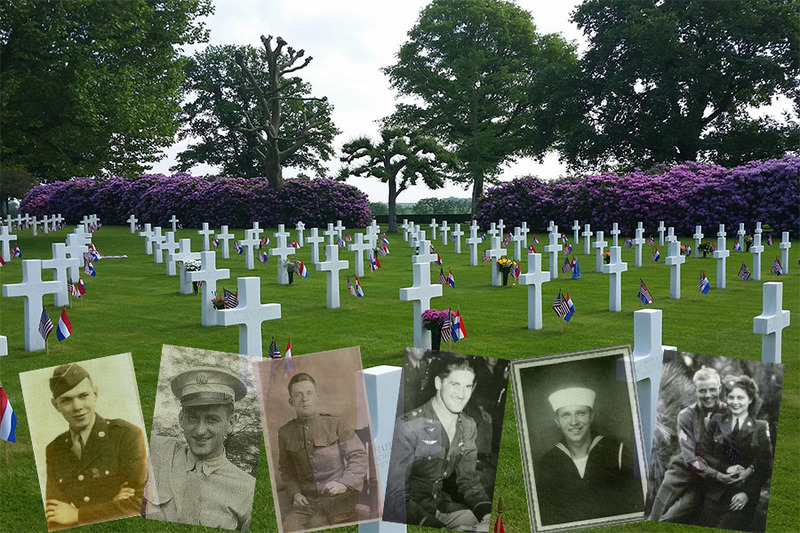 The Fields of Honor Database has a mission to compile information and photographs, in their free online database, for all those buried or listed on the Wall of the Missing at ABMC cemeteries in Margraten, Netherlands, Henri-Chapelle, Belgium, and Ardennes, Belgium. You can help them accomplish this mission by contacting them and sharing your soldier’s information. If you live in Europe and have adopted a soldier’s grave or his name on the Wall of the Missing, this foundation is also selling my research book, Faces of War: Researching Your Adopted Soldier. If you live in the U.S. and need assistance researching, check out my books, Volumes 1 and 2 of Stories from the World War II Battlefield, which are the only ones available which teach you step-by-step how to do WWII research. Need more assistance? Contact me to discuss a project. I am taking new clients at this time and there is no wait list. Still confused or have questions? Please post them in the comments.